Dominique (Nik) Petersen is a graphic designer, specializing in designing and formatting books and covers, primarily for Aurora Publishing. Two of her books, "Girlfriends Forever!" 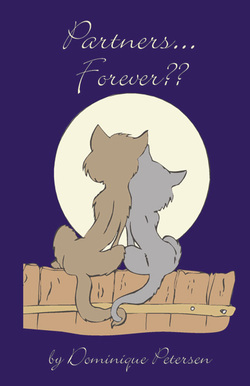 and "Partners Forever?" are interactive sets. This allows them to be personalized and shared by 2 people. 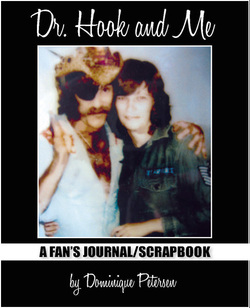 Her most recent book, "Dr. Hook and Me: a Fan's Journal/Scrapbook" recounts her experience of being a fan of the band for 40 years. It's told from a fan's perspective, using a journal and scrapbook design which makes it fun and easy to read. 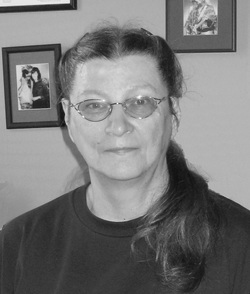 Nik lives in St. Thomas, Ontario, Canada with her editor husband, Jens. Having a best girlfriend is one of the most significant relationships you’ll ever have in your life; in some ways more important than your relationship with your parents, or even your boyfriend/husband. 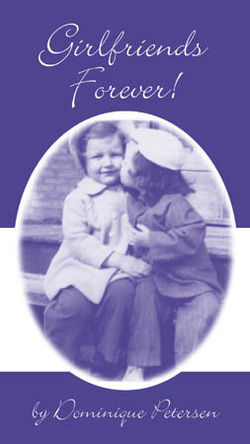 This book is a fun way of strengthening and deepening that special relationship by sharing even more with each other. It can also be used to build a relationship with a new girlfriend. This is a set of 2 workbooks - part journal, part scrapbook and part diary with coil bindings to allow the books to lie flat for easy writing! You fill out one by answering the questions and your girlfriend fills out the other. Then, at a pre-arranged date - say next Christmas - you exchange books. There is a scrapbook section in the back where you can add photos, poems, recipes, hints and tips, doodles, anything you like. Fun to do; fun to receive! Great gift for: the bride and her maid of honour, bridesmaids, sisters, mothers and daughters, grandmothers and granddaughters, AND girlfriends. This is a set of 2 workbooks – part journal, part scrapbook and part diary with coil bindings to allow the books to lie flat for easy writing! You fill out one by answering the questions and your partner fills out the other. Then, at a pre-arranged date, you switch them to read each other’s answers. There is a section in the back to note down comments and questions which can be discussed at follow-up meetings. Dr. Hook fans of any age will enjoy reading this fun book. Filled with stories, photos, letters and facts, this journal/scrapbook records the 40-year experience of one fan of the band. Learn about the original band and follow its progress right up to the present day. Attend the concerts, meet other fans, and see why Dr. Hook's music of yesterday has lasted into today.